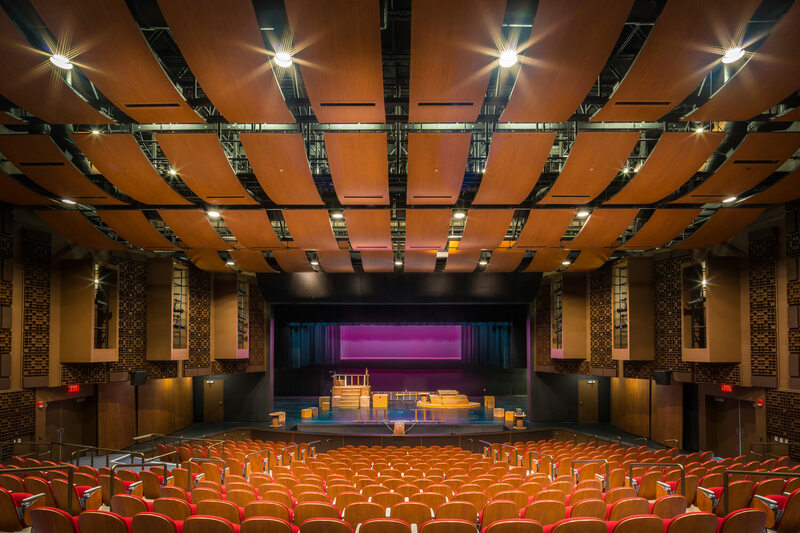 The 415-seat theatre for King Kekaulike High School includes a fully-rigged stage with 40 linesets for scenery, lights and masking, including curtains, drapes and tracks. 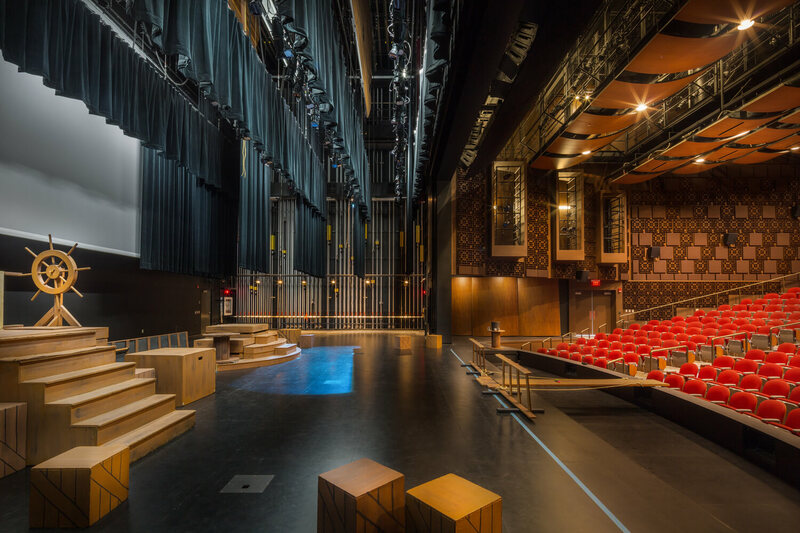 The Center also includes a modular proscenium opening, hydraulic orchestra pit and full back of house amenities with costume and scene shops, dressing and makeup rooms, a backstage office, plus a lobby and ticketing booth at the front. 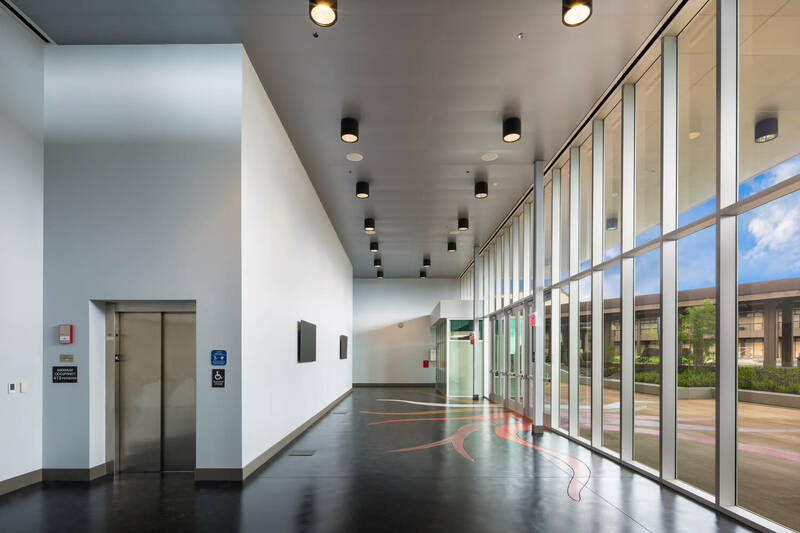 There are also absorptive and reflective wall and ceiling panels for acoustical clarity. 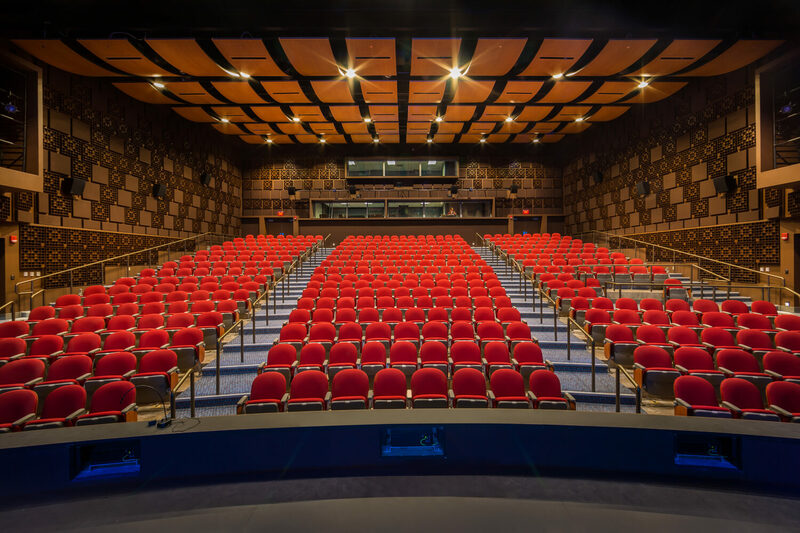 The Performing Arts Center was sustainably designed with efficient light, plumbing and mechanical systems throughout the location.